Cranky? Don't be! The original crankybuster web site welcomes you. Here's one of the coolest things I've ever done for myself — celebrating an “Annual Theme” (complete with an official poster). Launched in 1995, this practice has been life altering, to say the least. As the Stones sang, I don't always get what I want; sometimes I get what I need. But this tradition has added so much to my life I'll never stop. I've found that having an annual theme gives me a focus, adds meaning to my life, and influences my actions and decisions. Without this practice, "Why Is Everyone So Cranky?" may never have been written. It was during my Year of Exploration that I decided to "explore my potential as writer" and embark on writing the cranky book. During the Year of Adventure I received a six-figure advance for the "cranky" proposal, enabling me to spend two winters in Venice, Florida where I wrote the book while gazing at the Gulf of Mexico. Those months in Florida were like a dream come true. During the Year of Reinvention, I put up my shingle as a manuscript doctor and writing coach, helping authors enhance their book content and improve their writing skills. In my Year of Reinvention , after having to give up horseback riding (my “go to” hobby for thirty years) I took up the game of disc golf as a replacement. In the Year of Enhancement, I launched my inspirational jewelry business, www.PreciousPurpose.com specializing in remembrance bracelets (commemorating deceased loved ones), and since then I've created many new designs. Each special accessory comes with a gift card and original poem or story explaining the meaning behind the design. My newest piece is the “Breakup Bracelet,” and I'm its first recipient. During the Year of Enrichment, I broke a disc golf world distance record for women in my age category. Thanks to the Year of Action & Follow Through I won a national disc golf women's championship, started my blog, joined the social media craze, and launched my free e-newsletter. There's a saying, “Be careful what you ask for.” During my Year of Finesse my life partner of 35 years had an affair with a former lover and ended our relationship. Devastated and demoralized, I renamed 2010 a “fine mess,” which is exactly what the year felt like. I entered 2011, my Year of Revival and Renewal, feeling like a loser but thanks to a great therapist, a preponderance of affirmations, a strong will, conscious optimism, and presence of mind, I came out a winner. Buoyed with hope, focused on healing, and ready to accept and embrace my New Normal, I discovered “the life I didn't know I wanted.” I'm happy, healthy, and having a lot of fun for the first time in years. People tell me how much younger, healthier, and relaxed I look, and they're right! I have evolved. 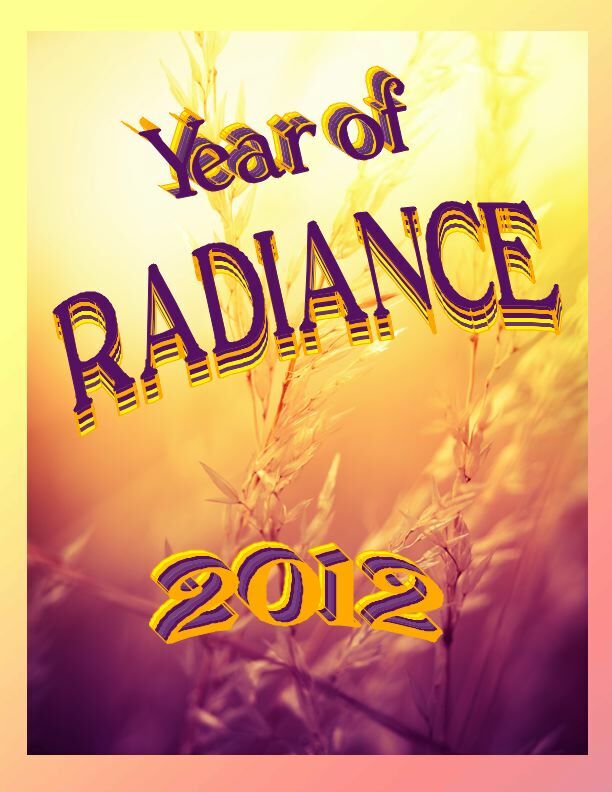 Several have even used the word “radiant” to describe my appearance and that's the genesis of my theme for 2012. Every year I'm now asked, "So what's your theme?" And then I'm told, "Mine is ________" and I just smile. Be a cranky buster. Choose your theme and watch it unfold. You'll be glad you did!